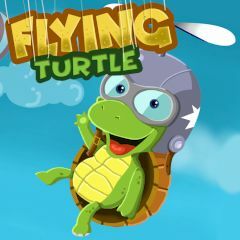 This simple amazing game has a flying turtle involved. The goal of the game is to get as high as possible and dodge other flying objects on your way. Tap on left and right parts of the screen, take off and get great speed. Collect coins and reach time tokens to get more time for your adventure. Try to get maximum points and prolong your journey.